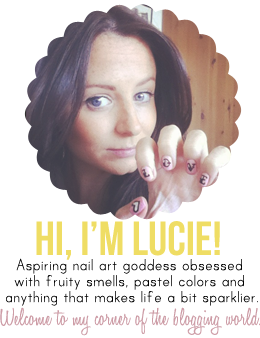 Lippy Lucie: A Very Exciting Tweet!!!! So I logged into my Twitter account yesterday and found I had been tweeted by the one and only @NicoleByOPI!!!!!!! I am so so so sooooo happy that they have noticed my blog, not to mention tweeting about it!! Its been re-tweeted by a few peeps as well which is even more flattering! This has really encouraged me to make my blog the best it can be and probably do some more posts focused on Catwalk Nail Art and whats trending in the fashion/nail art merged world! I have also started a Nail Tech course so I can start doing other peoples nails which is a big step for me!! Have any of you guys had any cool tweets that have inspired you?!! ManGlaze and I have a really fun Twitter relationship haha. And every time Deborah Lippmann tweets at me, I do a little happy dance! Congrats on the fun tweet and the nail tech course! That's all awesome! Its brill isn't it!! I need to get on twitter more I think!! Congrats, that is very cool!